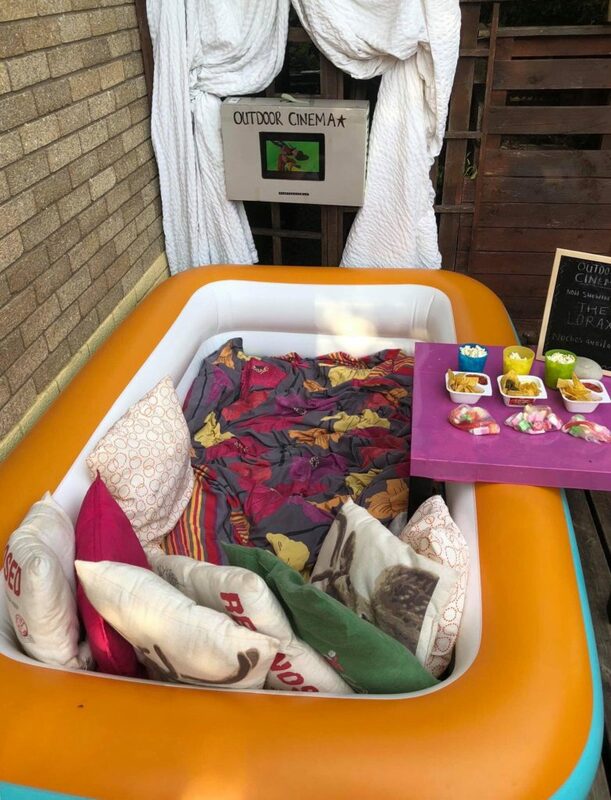 The kids decided they were going to the outdoor cinema, so we set about making our movie theatre in the garden and using an empty paddling pool was a great idea! This could easily be recreated in front of the television. 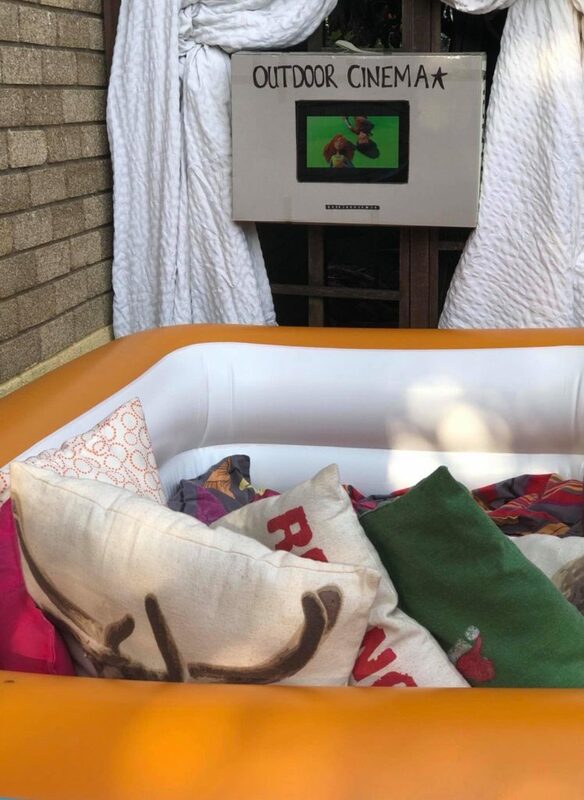 We chucked a load of blankets & cushions in the paddling pool, stocked up on treats used our recycled yogurt pot nacho holders and pre loaded a film on the iPad. I cut a hole in a box to hold the iPad. 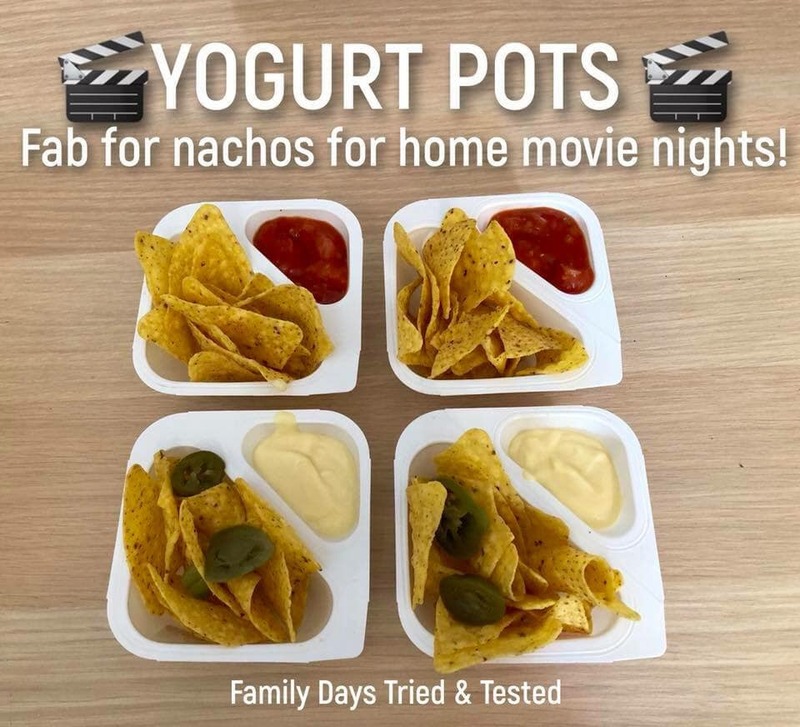 Take a peek at our other fun uses for recycling Yoghurt Pots. 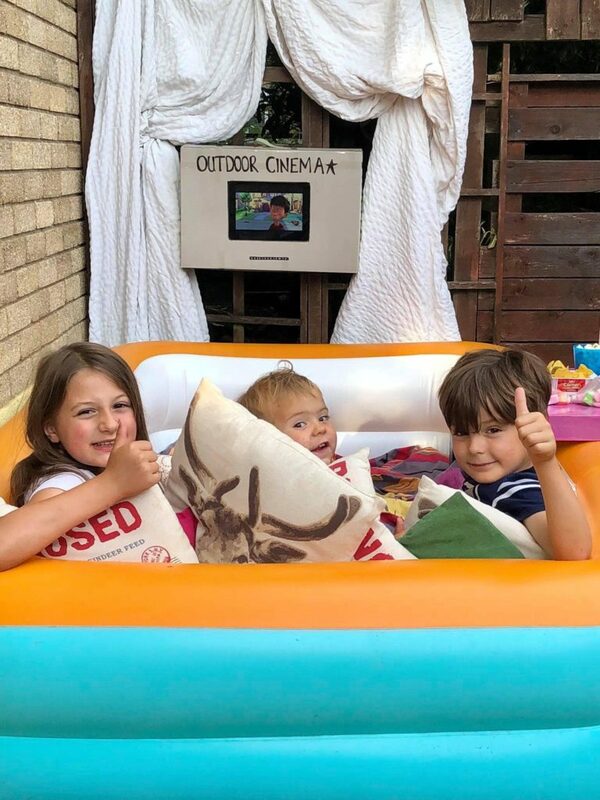 The kids love making Outdoor Cinemas. 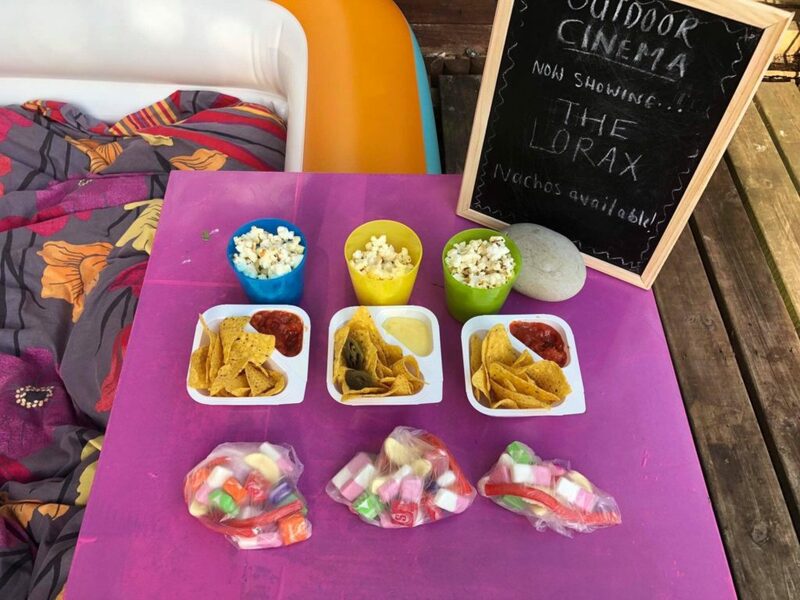 If you enjoyed this then take a look at our 75 ways to have Fun With Food, or our Fun Ways To Star Gaze.